For more information about our Conservation Challenge, visit Conservation Challenge: How Can One Person Make a Difference? Conservation Challenge: How Can One Person Make a Difference? The Conservation Committee is asking club members to participate in a challenge to conserve natural resources. Because we live in an area where there is severe loss of wildlife habitat, destruction of native plantings due to construction and parking, it is important for homeowners to consider adding some elements back into their gardens to achieve a balance with nature. One homeowner can make a difference. We are not asking for big changes, but would like to see some individual conservation changes that will keep nature close. 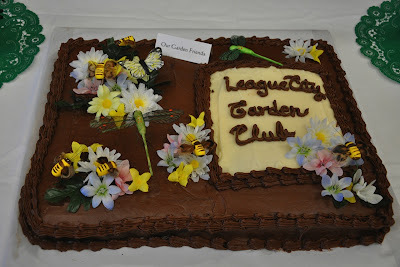 The Conservation Committee has developed a challenge for the garden club members. The Committee has identified 10 different areas where garden club members can add positive changes in their garden. A category was also added for "other" so we could identify changes being made that we did not recognize. No one will be checking your progress; it is an honor system. Bees, butterflies and birds are important in keeping our green space, along with practicing water-wise consumption. Please work with the Conservation Committee by participating in the conservation challenge. 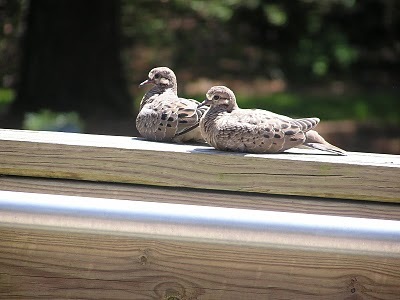 Practicing conservation in the garden can lead to the certification as a Wildlife Habitat®. We would love to see many of our members have their gardens designated as a Wildlife Habitat®. The challenge is voluntary; members are invited to share photos of their project on the website and discuss it during the conservation report at club meetings. Small changes are welcome, but everyone can participate to the full extent of their comfort level. Wed., Jan. 8th: "Ins and Outs of Butterfly Gardens" by Tish Ruestle, Galveston County Master Gardener. 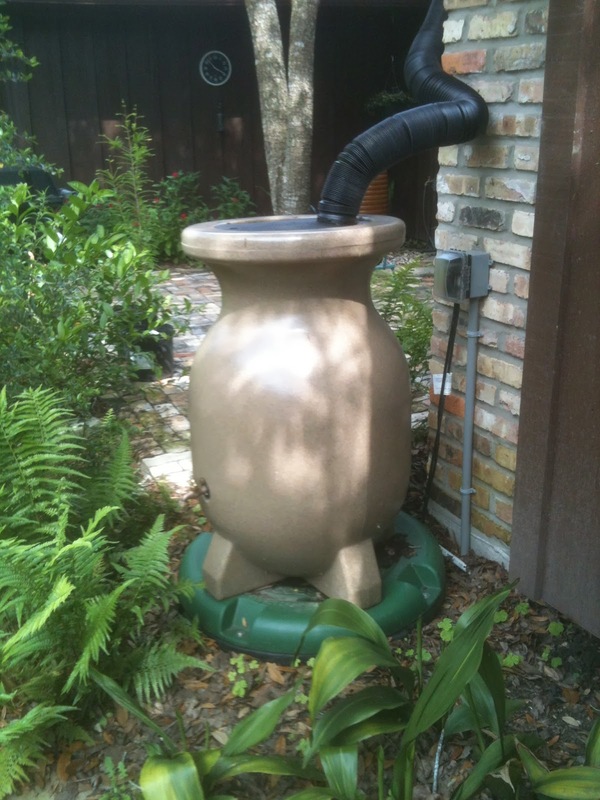 Wed., Feb. 12th: "Spring's Incredible Edible Gardens" by Kenneth W. Steblein, Galveston County Master Gardener, Master Composter, and horticulturalist. Wed., March 12th: Container Gardening at Maas Nursery - field trip with lunch after. * Separate field trip to Shangri La scheduled for April 9th. Wed., May 14th: End of meeting year (2013-2014) covered dish luncheon and tablescape contest. * Social events are scheduled during June-August. September 2014 begins the 2014-2015 meeting year, kicked off by the annual home gardens tour, tba for September. December Service Project: Flower arrangements for assisted living centers. Each December we make flower arrangements at our holiday potluck to spread Christmas cheer to those living in assisted living centers around League City. Members spend some time making arrangements and then we hand deliver them. A number of vases this year included Christmas ornaments like these glass balls. The Clock Shop located at 1405 West Main (FM 518), League City, Texas 77573, has been serving the local area for over 20 years. Their business is clocks, watches, jewelry and gifts; they also do repairs. The building is neatly landscaped with Redbud, oaks, azelas, and Crape Myrtles. Ty plant, sweet potato vine, plumbago and ginger add color and texture to the design. Quirky art has been added to give the building an “Alice in Wonderland” feel. Christmas swags over the windows and a wreath at the door invites patrons into the clock shop for holiday shopping. Congratulations to Linda Lee, owner and manager, for the Christmas Spirit she has created in the heart of League City. Garden Club members and city staff decorated the town's gazebo in League Park earlier this month. This weekend is the 16th Annual "Holiday in the Park" Parades & Festival (Dec. 6-8). The gazebo is decorated for the annual festivities. Ornaments and ribbon strung along the gazebo fence. On December 11th, we will meet to have the Christmas potluck and service activity - members and visitors can bring vases, flowers, and greenery to create beautiful arrangements to donate to local assisted living homes that day. Judging and awards for the top 3 arrangements. Delivery to the assisted living homes will be arranged by club members. For meeting information, click here. Nell Shimek will be teaching the basics of floral design. You are welcome to bring a container, a 'frog' or pin holder or floral tape to help hold flowers in place, and of course flowers/greenery from your garden. Bring something with a strong "line" - it could be a stick painted black, for instance. 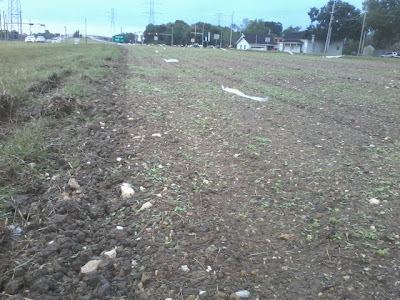 During October 2013, the Club and the City of League City planted wildflower seeds on the median of League City Parkway (96) at Hwy. 3. The wildflowers were purchased from Wildseed Farms (Fredericksburg, Texas) and some from American Meadows (Vermont). 15 lbs. 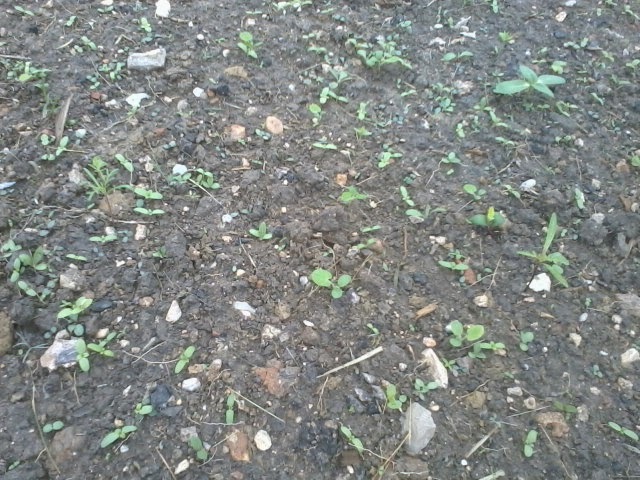 of seed were mixed with 200 lbs. of sand for broadcasting more evenly, then divided into 50 bags which were placed every 10 ft. along the 500 ft. bed. Garden club members broadcast the seed while dancing to sunny music and added some bling by placing Mylar ribbons to deter birds from eating seeds. We planted a variety of annuals for first year color and perennials for second and successive years’ blooms. The 10,000 sq. ft. bed was planted by Kimberly Nitzschke, Alisa Rasmussen, Jennifer Corley, Pi-Lien Feng and Debbie Groce. This year we doubled the variety and focused on pollinator and regional wildflowers, got a soil test and added compost/other amendments accordingly. 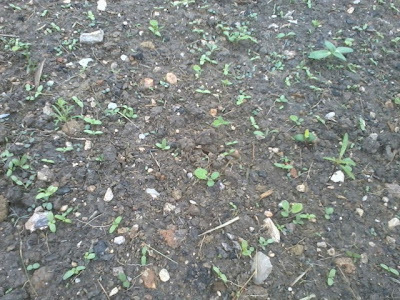 Kenneth Farrow’s League City Street Department removed competing grass, prepared the ground and will keep the seeds moist during establishment. League City staff clearing the grass and preparing the ground for our wildflower seed sowing at the beginning of October 2013. A little baby parrot whose leg was broken. A club member discovered him and took him to the Galveston County Animal Resource Center in Texas City. Wildflower seeds coming up, on the median of League City Parkway (96) at Hwy. 3., during late October! Nell Shimek of Shimek's Daylily Gardens of Alvin will speak at the November 13th meeting of the League City Garden Club. Shimek is a Master Flower Show Judge on the National Council and Master Design Consultant from Benz School of Floral Design at Texas A&M. Social time begins at 10 am, and the program at 10:30. Visitors welcome! For meeting information, click here. Social 6:30 p.m., Lecture 7:00 p.m.
Clear Creek HS Alternative Academic Garden on television! If this video does not load, click here to view on KTRK-TV's web site. School garden offers sense of pride for students: Special needs students use their talents to tend to the garden at Clear Creek High School. Copyright ©2013 ABC Inc., KTRK-TV/DT Houston, TX. League City Garden Club provides seeds and advice to the teachers and students, and featured this garden on its 2013 annual garden walk (this past weekend). For more information, visit Clear Creek's Alternative Academics Garden. Texas Native Plants" is the subject of an upcoming program of the League City Garden Club, on Wednesday, Oct. 9th. The presenter is Tricia Bradbury, newsletter editor for the Native Plant Society of Texas, Master Naturalist and Fort Bend County Master Gardener. For a meeting schedule, click here. We hope to see you there! Free and open to the public, families and youth invited to attend. Discover the challenges, joys, and benefits of composting in your backyard with Master Gardener Ken Steblein. Bring the whole family out to learn and even get a pair of free gardening gloves to get you started! Saturday, Oct. 12, 9:00 a.m. - 1:00 p.m. The sale will be held in the parking lot next to the Wayne Johnson Community Center in Carbide Park, 4102 Main Street (FM 519), La Marque, Texas 77568. 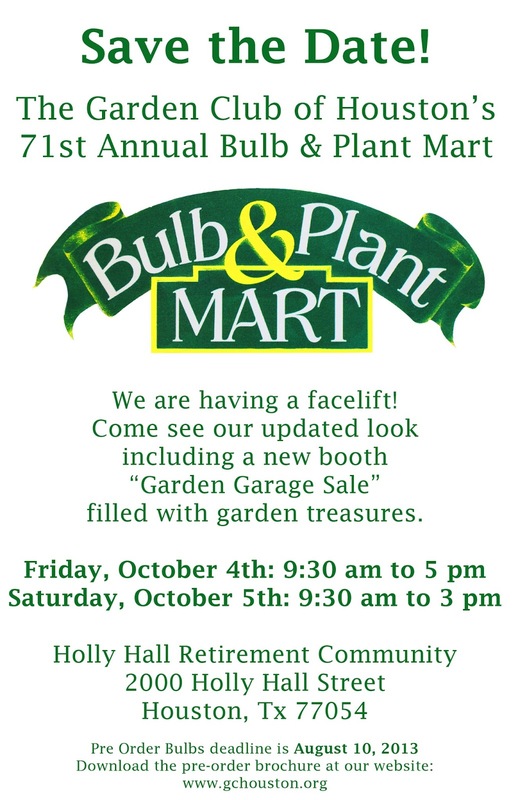 The annual Ornamental and Perennial Plant Sale offers a variety of plants suitable for Galveston County including heat-tolerant perennials, shade-loving plants, tropicals, gingers, plants for butterfly or hummingbird gardens, and hard-to-find varieties... especially hardy ones! Despite the weather forecast, the show will go on! Wear appropriate footwear and bring raincoats/umbrellas. Gardens are most beautiful in the rain! See you Saturday! The Annual Garden Walk is coming up! Learn how we chose our theme for this year's Garden Walk and selected the private and public gardens for the tour. Click the flyer for full size. Tate’s Frame Shop, 1818 West Main St.
A map with site locations and directions will be included with each ticket. Our first meeting of the new 2013-2014 season is Wednesday, Sept. 11th. The program will be a short plumeria lei workshop by Loretta Osteen of the Plumeria Society of America. 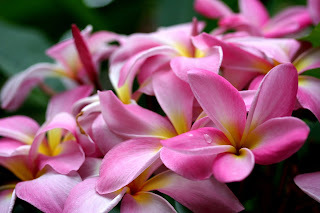 Members are asked to bring as many plumeria and oleander blooms as they can. If you have a large hand needle (hand sewing needle) and some waxed dental floss, please bring that also. The best way to keep the blooms fresh is to put them in a ziplock bag with some water. She will bring as many blooms as she can. • Nana’s Attic—501 E. Main St.
• Tate’s Frame Shop—1818 W. Main St.
Maps are included with each ticket purchase. The self guided tour includes six private home gardens hosting hidden havens filled with bonsai trees, orchids, a Koi pond, a family of box turtles, prairie restoration, native & heat tolerant plants, raised vegetable beds, rain water catch systems, dry creeks, orchards, birds, bees, butterflies and much more. Also showcased are four community gardens which include one of League City’s first “Going Green” business landscapes, The League City Garden Club ‘Wildflower Project” Area, League City’s Eastern Regional Park, and Clear Creek High School's “Alternative Academic” Garden. This “Going Green” Garden Walk event is a wonderful opportunity to enjoy the great outdoors, meet your neighbors and observe the beauty within League City. League City Garden Club is a 501 c 3 nonprofit organization committed to awarding League City youth scholarships and to beautification and conservation of the areas in and around League City. Guests are invited to attend club meetings. Join the fun the second Wednesday of each month September thru May at 10am. Meetings are held at the beautiful Village of Tuscan Lakes Clubhouse, 1610 Tuscan Village Drive, League City, TX 77573. All members may bring a covered dish to share and ideas for next season's speakers (September 2013-May 2014). Members will be creating tablescapes and competing for "best in show" awards. Instead of meeting indoors this month, we have a field trip planned at the Dr. Ned and Fay Dudney Nature Center, 1220 Egret Bay North. We will meet at 10:30 am for an hour long visit, followed by lunch. Rain should hold off, but bring an umbrella just in case. Visit Events & Projects (click here) to get the latest information about our Arbor Day activity and Dirt Diva and Diggers Plant / Garden Craft Sale (April events). Wednesday, March 13th our program will be about bees, by Stewart McAdoo and Robert Marshal, Galveston County Master Gardeners. Time: 10:00 am Social, 10:30 am Program. Wear your fancy hat for the Best Hat Contest. At: the Recreation Center at the Village of Tuscan Lakes, 1610 Tuscan Village Drive (off Highway 96, League City, TX 77573). Monthly quote: "The only reason for making a buzzing-noise that I know of is because you're a bee... The only reason for being a bee that I know of is making honey... and the only reason for making honey is so I can eat it." - Winnie the Pooh in A.A. Milne's The House at Pooh Corner. This Wednesday, February 13th, our program is about orchids. Key cultural points on the variety of orchids that can be grown "outside" in League City, and considerations for success with the "indoor" Phalaenopsis, the most commonly seen/grown/killed orchid. Our speakers are Laurie and Shiela Scov. Ongoing project for members: bring gardener grab-bag items for Dirt Diva and Diggers Plant/Garden Craft Sale. February is National Bird Feeding Month. 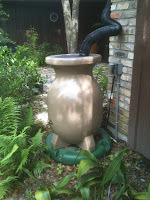 Visit the Dr. Ned and Fay Dudney Nature Center in League City. The park is located on the South Shore of Clear Creek off Highway 270 at 1220 Egret Bay North. Visit the web site for hours and more information. 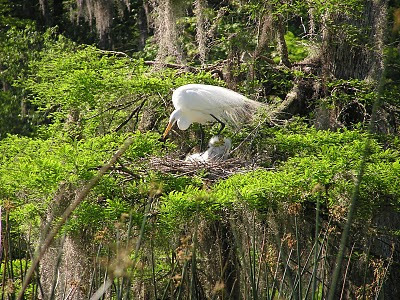 "The site is an excellent habitat for migrant birds, such as Sand hill cranes, great blue herons, ibises, American egrets, great white herons, owls and various song birds, which use the area to nest and feed."